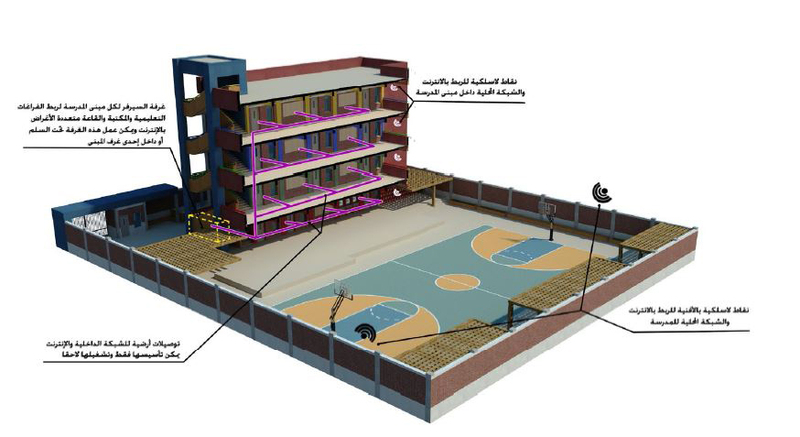 The normal rate of school building in Egypt is 300,000 Egp per classroom including facilities, fence and landscape costs. 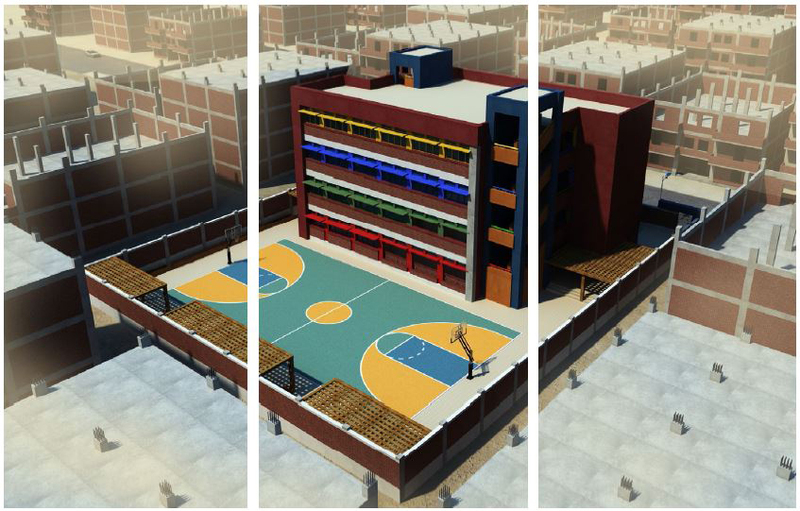 The principal requirement of the foundation was to reach the price of 100,000 Egp per classroom to be able to build as much as possible of schools by reducing number of educational facilities to the minimum and getting innovative ideas of architectural firms. 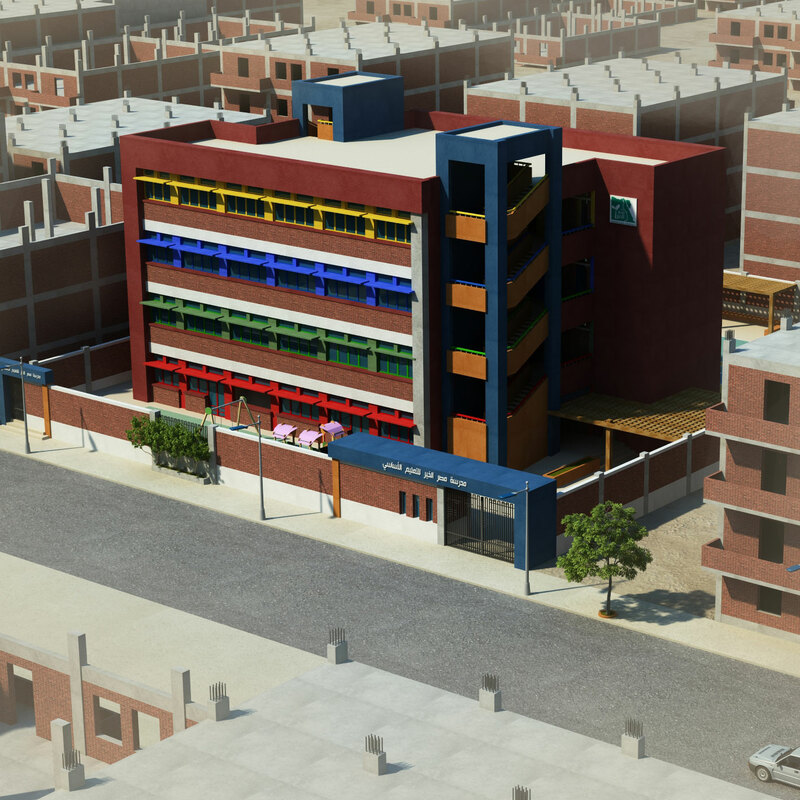 The concept of the design is to simulate the surrounding houses in rural villages in Egypt which is mostly bare concrete and rough clay bricks but in a more civilized and well designed way. 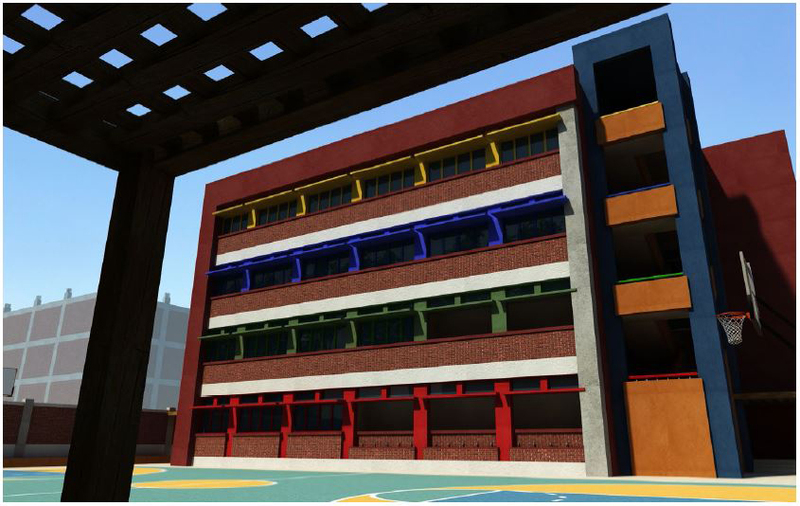 We proposed to make the school building of the most familiar and economic structural system in the region which is (simple slab-beam-column) but in better formwork so the skeleton would just be painted directly without plaster. For the masonry works we proposed to make trainings for local masons (as an added value for the local to improve their competency of building leveled, grooved brickwork so that it would be exposed in facades. 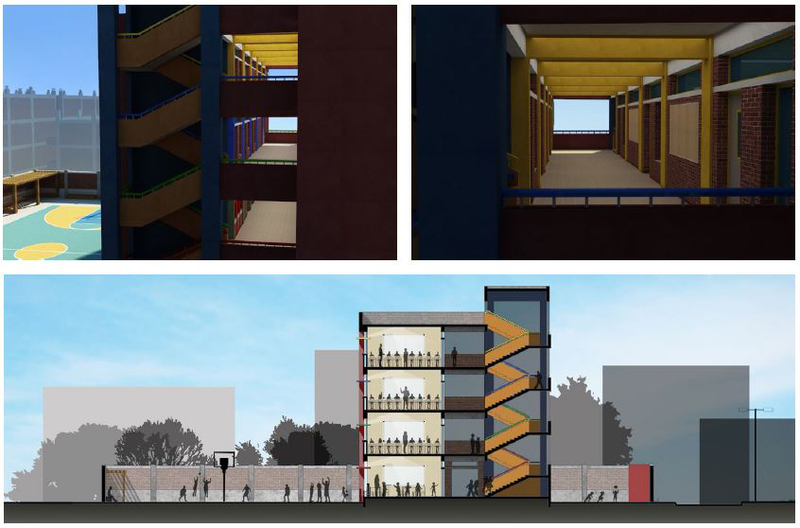 Colors were utilized in both external and internal elevations for the doors, structural elements, sun breakers and windows frames to visually identify floors of the building. 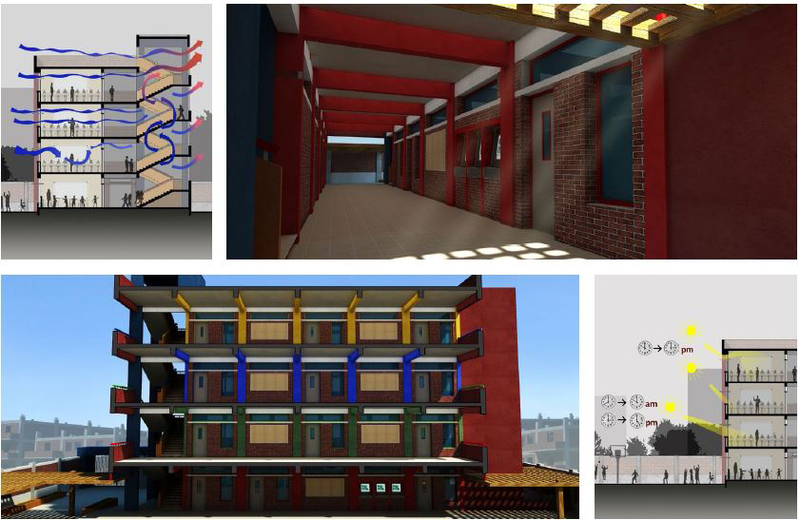 For achieving sustainability, shifted down horizontal sun breakers were studied for south elevation to prevent direct sun light and in the same time reflect indirect light throw the ceiling. 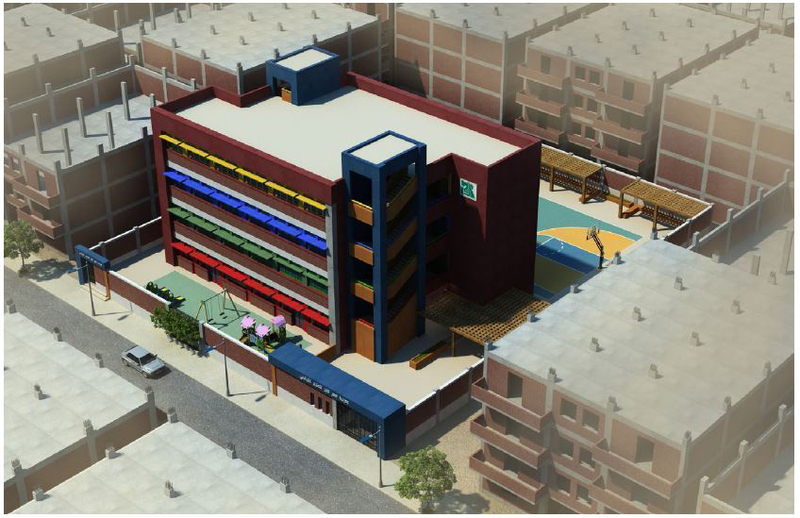 Also other aspects of sustainability were applied, such as cross ventilation and recycled water for toilets› flush and irrigation.